Are the New iMacs Worth The Money? Though the Mac is no longer Apple’s main selling point, it’s traditionally Apple’s flagship product. We can’t deny that it has been on a steady decline: most of the Mac computers being sold are MacBooks, AKA Apple laptops. However, this has not stopped Apple from creating and improving the new iMacs – there are two new variants of the device and these have been recently released – the entry-level, 21.5-inch iMac with a high resolution, 4K Retina display and the flagship 27-inch one with a whopping 5k Retina screen. Despite its power, awesomeness, and beautiful Retina screen, the new iMacs still cost an arm and a leg. The entry-level variant is priced differently – $1099, $1299, and $1599 – depending on the specifications. 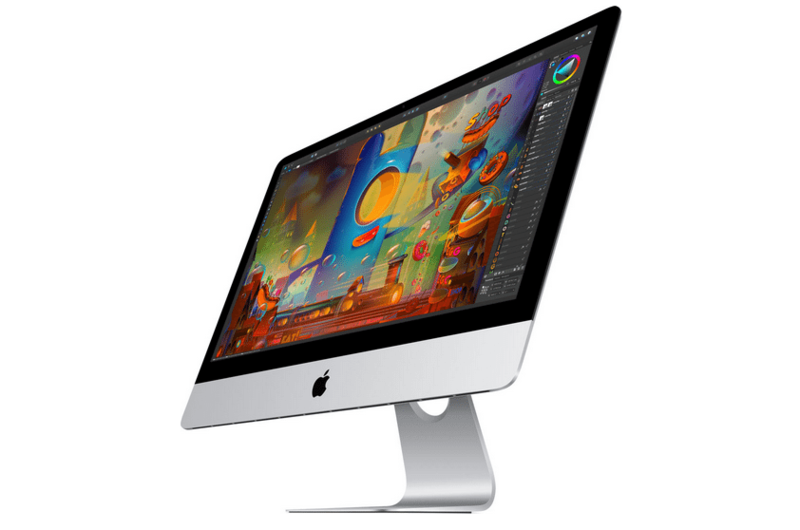 Meanwhile, the 27-inch iMac ranges from $1799, $1999, to $2299. Basically, display screens using retina technology are awesome have a high pixel density of 300 pixels per inch. This is the new Mac’s selling factor and for good reason: it makes it look amazing. These displays provide an optimum viewing experience. Whether you use your iMac for viewing multimedia or by doing work at home, you have to agree that it’s arguably the most visually-appealing computer you have ever seen. In the two new iMacs, everything is graphically-sound and tantalizingly pleasing to look at. The user interface looks sharper, while viewing various types of multimedia on it – like photos and videos – is a great experience. There are simply a few factors present in Retina screens which makes the new iMacs an amazingly beautiful product. The RAM modules are soldered to the logic board. This makes it impossible for you to upgrade its RAM on your own, although the $1499 variant can be configured to possess a faster processor. The CPU is fastened into the logic board, while the glass panel and display are molded together. The two above mentioned factors sealed the deal: it’s nearly impossible to repair the Mac on your own and if you do so, you will need to cough up an insane amount of cash. Apple may be pushing for in-house repair services in order to increase profits, but this only means more headaches for users who could end up breaking their Macs. Storage – SSD or a mechanical one? The new iMacs’ built-in storage systems are in the form of mechanical hard drives: the 21.5-inch variant has a 5400-rpm hard disk, while the 27-inch ones are armed with a Fusion Drive – except for the lowest-priced one which has a 7200-rpm hard disk. All computers are armed with at least one terabyte (TB) of storage space, except the $2299 27-inch variant which hosts a 2 TB drive. Though there’s nothing to complain about in the 27-inch Mac, the 21.5-inch is saddled with speed problems. The 5400-rpm hard drive does not give it justice: it’s excruciatingly slow. Launching apps and programs, along with executing various commands took a bit of time. Luckily, you can have Apple fit it with a faster 2 TB (1 TB for the $1499 model) Fusion Drive or a smaller, but extremely fast 512 GB SSD (solid state drive) hard disk. The new iMacs are armed with three new accessories, namely the improved Magic Keyboard, Magic Mouse 2, and Magic Trackpad 2. These are armed with Lightning ports which enable you to charge them, meaning you will no longer be required to replace their batteries once in a while. Overall, there are only a few issues with these devices considering that they are improved versions of their predecessors. However, we still can’t figure out why Apple placed the Lightning port of the mouse under it. It’s funny and questionable, but keep in mind that it only takes two minutes of charging to have nine hours worth of power. Unfortunately, the 2015 iMacs will no longer support Target Display, a feature present in most of its predecessors. This feature allows owners of the MacBook to connect with the iMac, turning it into an external display. Though this feature is underutilized by many, it’s a frequently used by many who regularly work on their Macs. Verdict: is it worth the price tag? Apple has always demanded a premium price for its products, so it’s no surprise as to why the cheapest iMac is priced at $1499. Regardless, the new iMacs are currently the best in Apple’s lineup and you can never go wrong if you choose to purchase them. Apart from the iMac, Apple released several of its products, like the iPhone 6s and a few of the operating systems, in the course of several weeks.